Hi, Erin. Welcome to Destination Amish! Why don’t we start by you telling us a little about yourself? Well, I love to laugh. Always have. And because of it, I’ve been writing chick lit books for quite a few years now. I’m also a city girl who has lived in New York all of her life and I am happily married with young children. I love reading books every bit as I love writing them and I’m a sucker for a happy ending. But then again, who isn’t! You have a new book that you co-wrote with Sarah Price, can you tell us about Into the Amish? I’ve known Sarah Price for a long time now, since we worked together in Manhattan and I think she’s one of the most talented authors around. She’s also one of the most giving and selfless people I know. She’s encouraging and someone I consider my personal mentor. In fact, I owe my writing career to Ms. Price. She’s the one who, after reading one of my manuscripts, encouraged me to publish my first book and I haven’t looked back since. She’s read all of my books and I’ve read hers. Her books are truly inspiring and I learned a great deal about the Amish and how these amazing people live in such close-knit communities. After reading one of her latest books last year, an idea for a romantic comedy came to me. 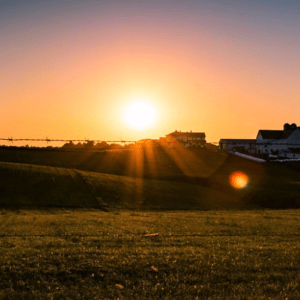 What if a New York career woman was to find herself living in Lancaster among the Amish? How would she adjust? What life lessons would she learn? I went to Sarah with the story and she loved it! Not only did she love it but she offered to help me with the storyline as it pertained to the Amish. I think the end-result is a very funny, but also very touching story. I really wanted to portray those in the Amish community well, and I hope I did that. So often we are content to just see the “reality TV” version but I knew this wasn’t what I wanted to do with this book. Sarah’s help was invaluable and I think that we came up with a story that her fans, as well as mine will thoroughly enjoy. Oh wow! I’m not sure I ever stop writing. But when I’m not writing because either the power is low on my laptop or my fingers cramp up from typing too long, you can find my singing loudly (and badly) while driving my children to and from school, watching my favorite romantic comedies on television or curling up with a good book. When I’m not on my yacht and jet-setting around the world … Just kidding, of course! I plan to spend some of my summer soaking up the sun and taking some time to enjoy the warm weather with my family. I have young children and most of the year, I’m busy running around with them. Summer allows me the opportunity to spend quality time with them without the hustle and bustle of school and sports. Of course, I also spend a big part of summer time writing. Do you have a favorite scene or quote from Into the Amish? There are too many to mention, but the scenes I love the most are the ones when Emily tries her best to acclimate to country living and the Amish community. She has the best of intentions in mind and her heart is definitely in the right place, but there are many moments when things don’t work out as she’d like them to and it leads to some, well, very funny moments in the book. Now, if you were to twist my arm and name my specific favorite scene, I love it when Emily tries to milk a cow for the first time. What is the one thing about you that your readers would be surprised to learn? A lot of people don’t realize that I have quite a bit of the country girl in me. While it is absolutely true that I was born and lived all of my life in New York City (and can ride the subway with my eyes shut tight), I also spent many of my summer vacations staying with my grandparents in a rural area when I was growing up. I often woke up to the sound of the rooster crowing and, believe it or not, I have actually milked a cow! Writing “Into the Amish” brought me back to that happy place as I found myself recalling all of those fond childhood memories. Well, since I write romantic comedies, I always wanted to be asked who my favorite leading man is in a particular book. I’m actually writing a chick lit book for the Christmas season. I had so much fun writing “The Holiday Gig” a few years ago. That book is about a career woman who finds herself having to invent a boyfriend to appease her boss at work and her family at home. Although she thinks she’s found the answer to all of her problems by hiring a man to play her boyfriend (The “gig”), she discovers some hard truths about herself and comes to realize what is truly important in her life. Writing the book put me into the holiday spirit and I’m hoping a second book will have me singing “Jingle Bells” throughout the entire summer! In case you can’t tell, I LOVE Christmas. It’s my favorite holiday and although I can do without snow most of the year, I don’t mind it at all during the month of December. But just December! I’m also hoping to convince Sarah Price to collaborate on a sequel to “Into the Amish.” I fell in love with the characters in the book, especially, Dolores Carrington, and I’m anxious to bring them all back to life. I miss them terribly, as you will after reading the book! This time, I’d love for one of Emily’s relatives from Lancaster to visit her in New York City. I can see a lot of comical misunderstandings in such a story, I reckon. That’s for sure and certain! 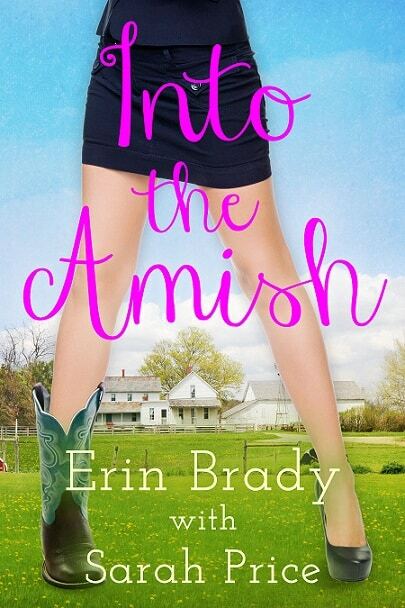 Erin Brady is a self-confessed romantic comedy addict who hopes to never find a cure. She spends countless hours re-reading Pride and Prejudice and admits to never getting tired of Darcy’s britches. She loves watching rom-com movies because, when it comes down to it, she can’t get enough of the “girl meets boy and falls in love” stories. Most importantly, she loves to laugh and finds humor in everything from washing dishes to singing karaoke off key! To connect with Erin, visit erinbradyauthor.com or become a fan on Facebook.